Last night at TGS, Kingdom Hearts 2.8 Final Chapter Prologue was announced after being leaked a week or so ago. The game contains an HD remake of Kingdom Hearts 3D: Dream Drop Distance, an HD movie of the Kingdom Hearts browser game titled Kingdom Hearts χ [chi] Back Cover, and a new experience called Kingdom Hearts Birth by Sleep 0.2 -A Fragmentary Passage-. As a huge Kingdom Hearts fan, this announcement is equally frustrating and exciting. So, I’m going to break down my emotions on the subject and start with the more negative which just kind of highlights a lot issues Square Enix has a whole. For starters, the name of the collection is stupid. Not only is the collection name stupid, the name of the movie and Birth by Sleep pseudo-sequel are also really dumb. This kind of falls under the category of tradition though considering just about every Kingdom Hearts game has had a terrible subtitle that means just about nothing until you play and beat the game. In fact, the only subtitles I can think of that are at least decent are Chain of Memories and Birth by Sleep. Secondly, this is super annoying because it seems like it’s a waste of time and resources over at Square Enix. I had a similar issue when Square Enix announced the demo of Final Fantasy XV and then even more so when they made an update for that demo. The development teams should be putting all of their efforts into the actual games (Final Fantasy XV and Kingdom Hearts III) themselves instead of these side projects so the games will come out earlier. Final Fantasy XV has been announced for what seems to be nearly a decade and Kingdom Hearts 3 will mostly be four years after the announcement by the time the game is released. That’s ridiculous and these side projects really need to stop. Besides that, I will buy this game because I’m a huge fanboy but I’m not nearly as excited about it as I was about the 1.5 and 2.5 collections. The only part I’m really looking forward to is Birth by Sleep 0.2. Birth by Sleep is my favorite game in the series and in 0.2 it looks as if Aqua is the main playable character, and she’s the best character in that game. In fact, Aqua might be the best character in the entire series. 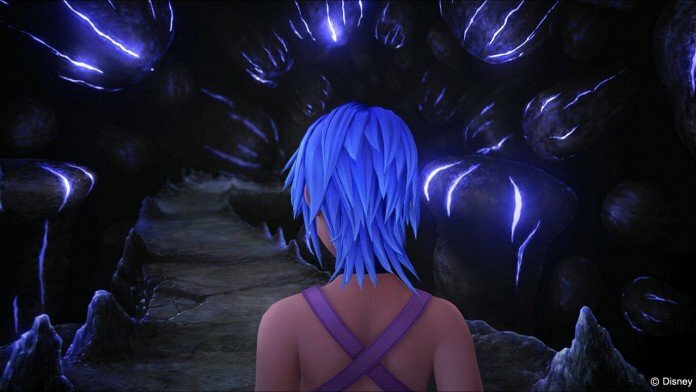 Birth by Sleep 0.2 looks exciting because, besides being about Aqua, it looks to be in the same engine as Kingdom Hearts 3. This will probably give us the closest look and feel of Kingdom Hearts 3. Actually, the more I think about it as I’m writing, this will probably be the KH3 equivalent to Final Fantasy XV Episode Duscae. That’s awesome, but at the same time I could’ve lived without this announcement and game and preferred for all the developers to be working on KH3. This announcement also implies a few things about the status of the franchise. For one, this game will most likely be the final yearly Kingdom Hearts release before Kingdom Hearts 3. This sets KH3 for a 2017 release which sounds about right due to the progress they’ve been making on the project. Also, if the trend continues from the previous collection, a few months before the release of the game a collectors edition will be announced that includes 1.5 and 2.5. With this slightly infuriating news out of the way, expect more information on KH3 during the upcoming Japanese D23.